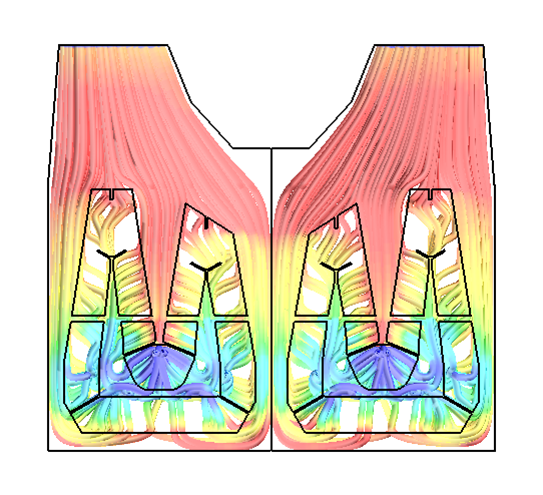 The special technique developed by B&B-AGEMA allows modeling the 3D steam flow field in steam condensers and calculation of local heat exchange with the cooling water over the tube walls. Due to the high complexity of heat exchanger tube bundles in steam condensers, the water tubes can not be modeled explicitly. 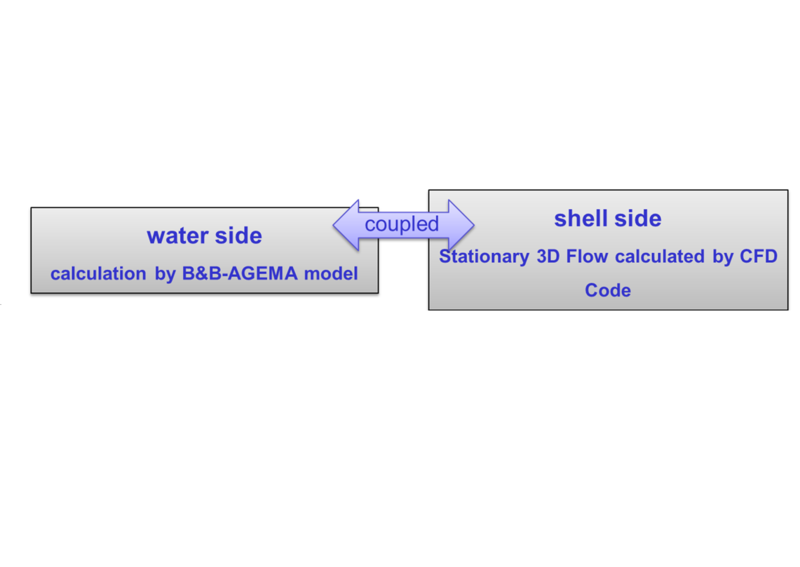 Thus, B&B-AGEMA has developed a tube bundle heat exchanger model that can be coupled to a commercial CFD code and that allows fast and accurate heat transfer and condensation calculation in every finite volume element and simulation of the heating process on the water side. Furthermore, the model takes into consideration non condensable gases accumulation and evacuation. For performance evaluation, the model delivers information about the 3D flow field, the exchanged heat in every bundle finite volume and especially the 3D pressure field in the condenser. 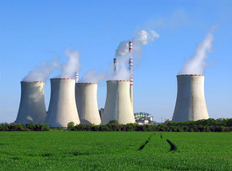 The knowledge of the condenser inlet pressure allows direct evaluation of the condenser performance.